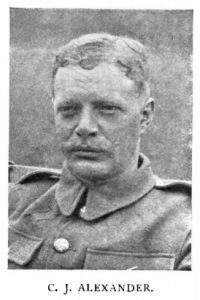 Eric Herbert Bigland died near Ypres on 5th January, 1918, of wounds received in action, aged 24 years. 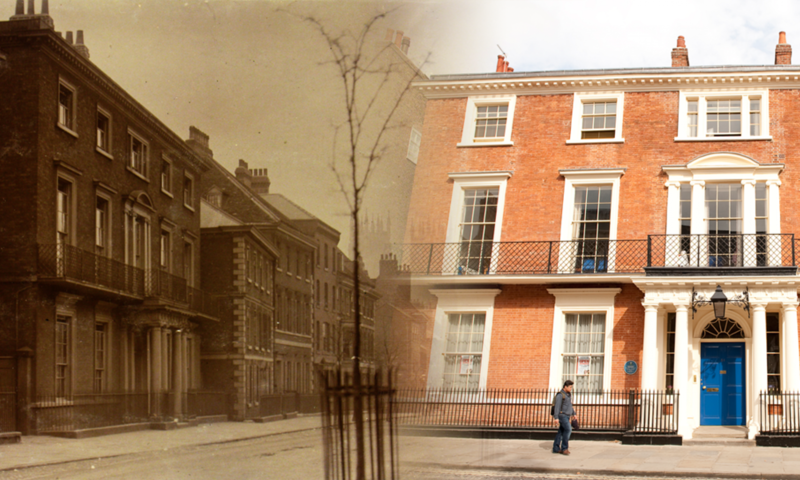 He was born at Middlesbrough in 1893 and joined Bootham School in the Summer Term of 1908. He left Bootham in 1910. At Bootham he was in the 2nd XI Cricket and 2nd XI Football. He also played Fives and won the “Middle Schoolroom” class tournament in Autumn 1909. He won the mile race in Athletics in 1910, with a time of just over 5 mins 16 secs. Eric won a Workshop prize for this seat in the school annual Christmas Exhibition. Private Eric Herbert Bigland is buried at Lijssenthoek Military Cemetery, West-Vlaanderen, Belgium. Christopher James Alexander of Croydon, Surrey, died in Flanders on 5th October 1917, aged 30 years. He won the Natural history prize for entomology. In 1903 Christopher was curator of entomology, microscopy and zoology in the Natural History Society. “A new feature of our Meetings in the Autumn Term was a series of “10 minutes” talks on the various branches by the curators, arranged with the idea of increasing the general knowledge of the Club, whose members are perhaps rather too much inclined to exclusive study of one subject. 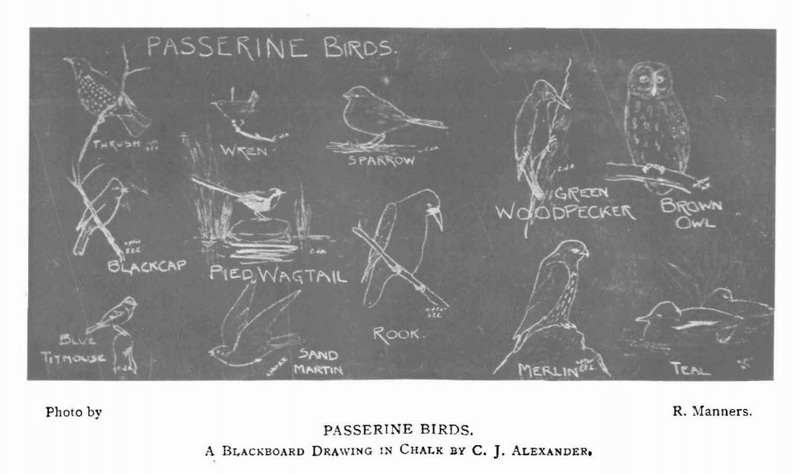 The first of these short talks was given by C. J. Alexander, on Botany, an able lecture, with the usual fine blackboard drawings added thereto. A photograph of the same gentleman’s illustrations to an Ornithological “10 minutes” is reproduced in this number. By this time, Christopher had joined the committee of the Natural History Society. 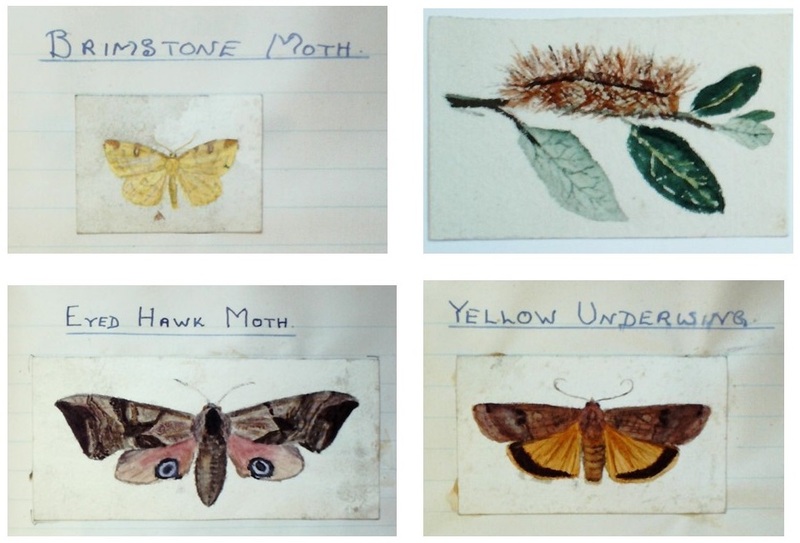 In the Inter-Schools Diaries Competition of 1903, Christopher won first prize in the Natural History Section with his diary of Botany and Entomology. In the school Christmas Exhibition some of the diaries were commended, especially those of the brothers C. J. and H. G. Alexander in Natural History. In 1904 Christopher was curator of botany, entomology, microscopy and zoology in the Natural History Society. Christopher J. Alexander became County Instructor for Insect and Fungoid Diseases under Berkshire Education Committee in 1910. In 1911, he moved to Rome to be Rédacteur at the International Institute of Agriculture. “CHRISTOPHER J. ALEXANDER first came to Bootham at the time of the Scarborough exile, after the fire, and he left in 1904, having- won the N.H. Exhibition and the Leaving Scholarship. He played his part in all that was best in the life of the School, especially in the N.H. Club. He joined in the great exploration of “heaven” by No. 8 Bedroom, and was a perfect Mr. Bultitude in ‘ ‘ Vice Versa.” But perhaps his character was best revealed in a simple act of courage, freely criticised at the time. One of our American gym. Masters —kindest-hearted of men—had spent a year with us, and none of us treated him very well; Christopher, in making a presentation to him when he left, frankly confessed our fault. All through his life, shy and modest as he was, when the occasion came, both in speech and action he showed the same outspoken integrity. At Wye Agricultural College, and for five years at the International Institute of Agriculture at Rome, he devoted himself to many kinds of scientific work, and especially found increasing delight, even to the last week of his life in Flanders, in observing birds. During his eighteen months in the Army he was able to give his best, that had before been hidden from most, to all the other men. They have written with real affection and concern since he was hit, on October 4th, but all they could tell us has only led us to the surmise, now at last confirmed by the War Office, that he must have been killed after he was put in the ambulance. The Bootham School Register records that Christopher was killed by a shell whilst being conveyed in an ambulance after being wounded. An obituary for Christopher was published in the journal “Ibis”, the International Journal of Avian Science, in April 1918, see https://doi.org/10.1111/j.1474-919X.1918.tb00784.x . Private Christopher James Alexander of The Queen’s (Royal West Surrey Regiment) is buried at Hooge Crater Cemetery, near Ypres, Belgium.